Best month and week in sales ever! "We did much better than expected — having our best week and month in sales ever in just the first month! 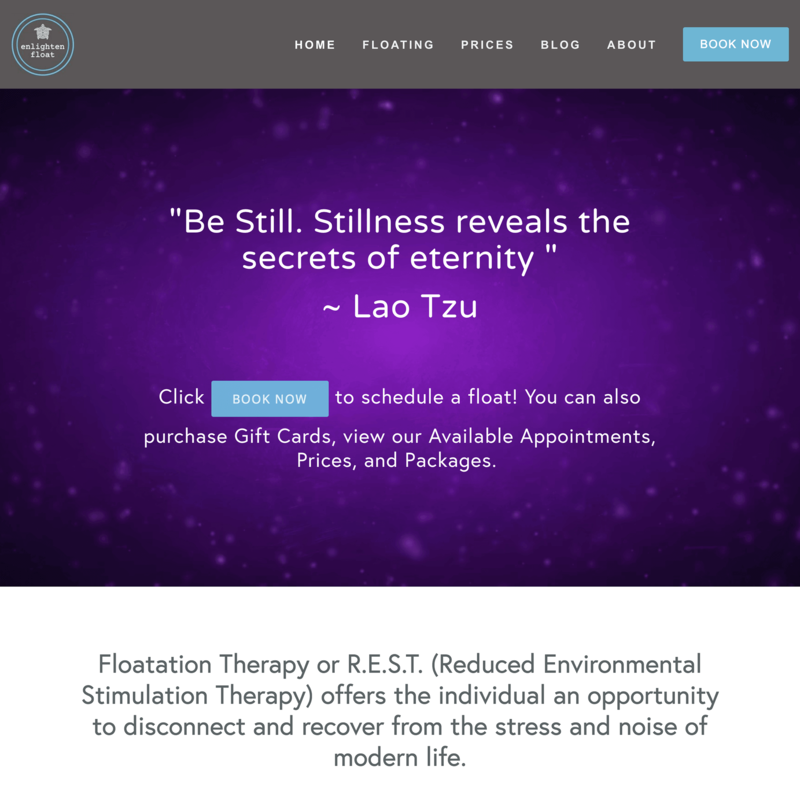 The ads they created were beautiful and engaging, aligned with our brand and most importantly brought in a lot of new customers and holiday sales for us. 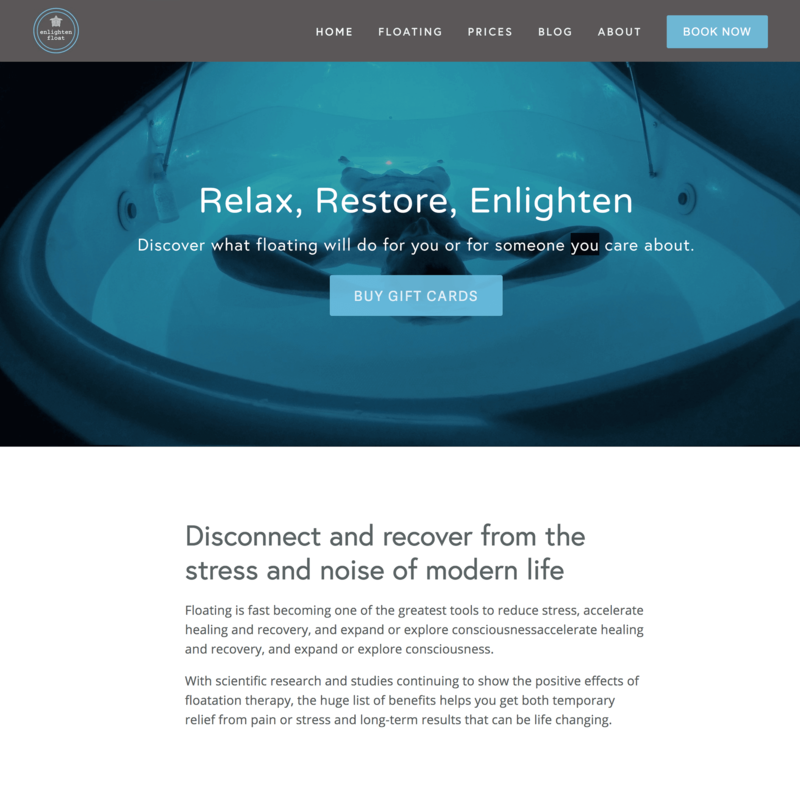 Plus, they improved our website design for better conversions as part of the business upgrades, which boosted our overall sales for the month. Highly recommended!" 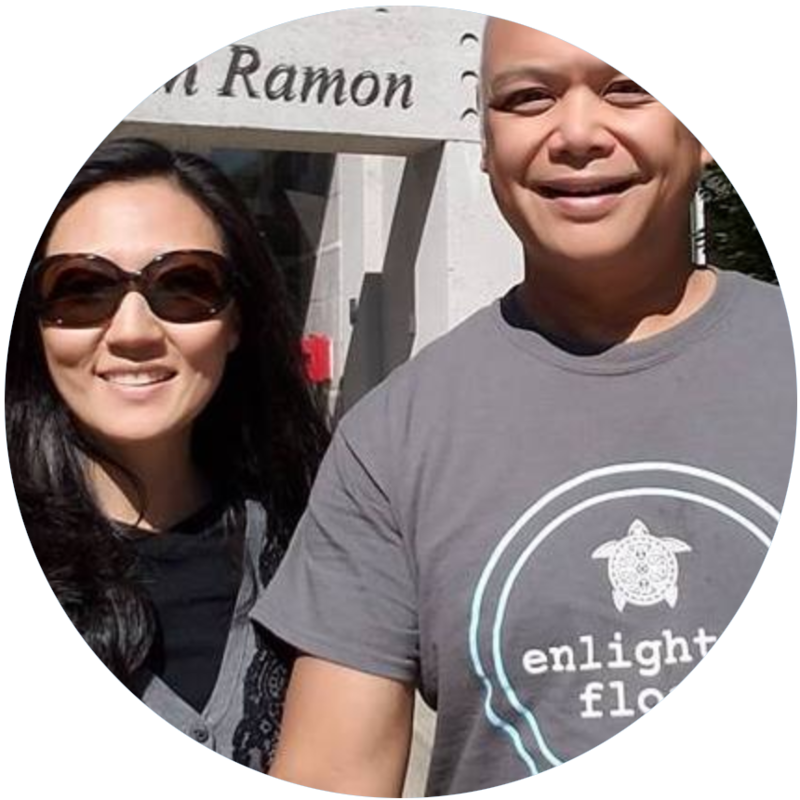 Enlighten Float was looking to engage new customers and drive holiday sales to wrap up the year successfully, ending with their best week and month yet! 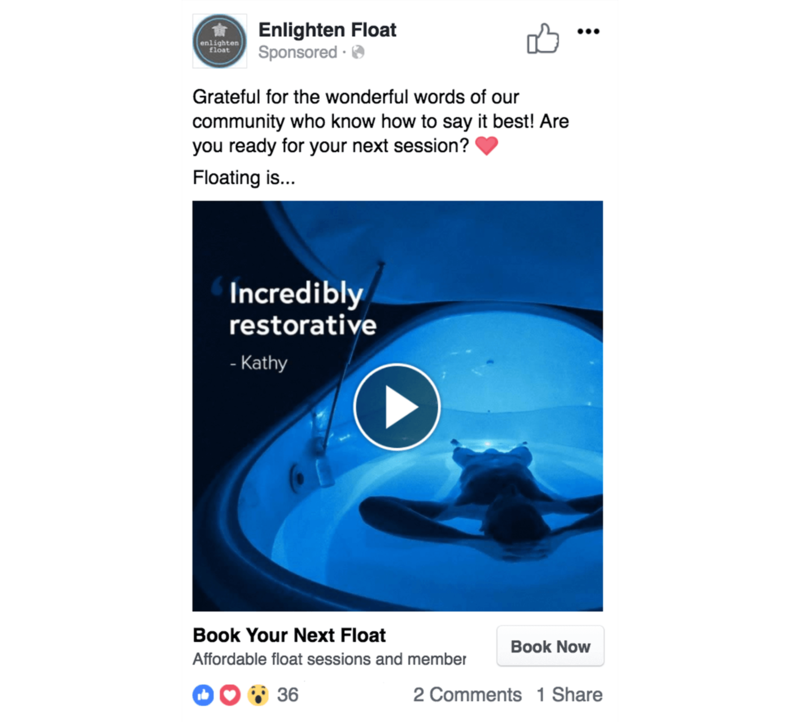 We created unique Facebook ads that helped provide awareness and education for first-time floaters and used their Business Upgrade hours to revamp their website, enhance their copy to provide more concise information about floating and optimized the design for better conversions. 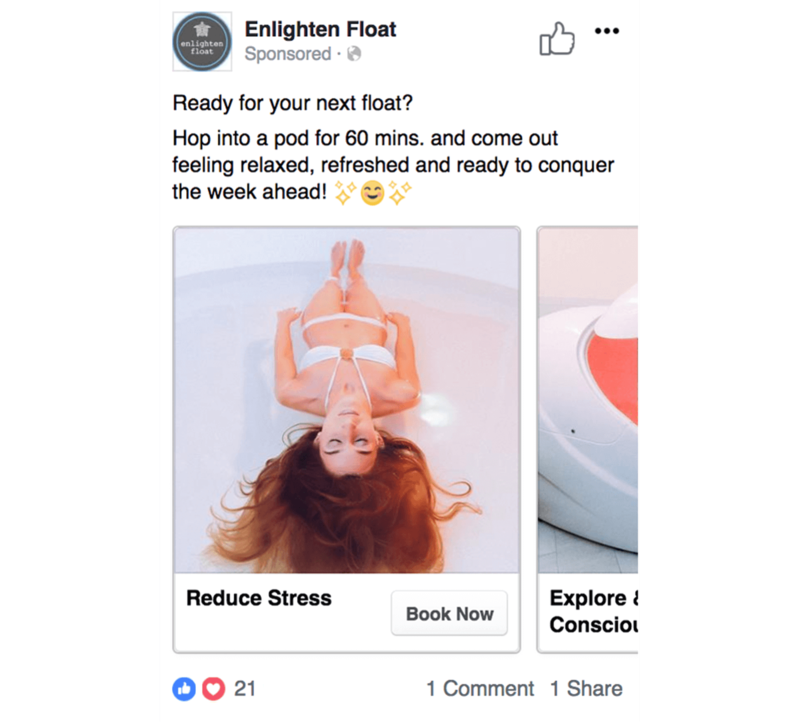 Enlighten was starting with a small budget, as they hadn’t done much Facebook advertising in the past and are in a smaller market. Our ads performed incredibly well and got the highest ROAS out of all our clients that month bringing in huge returns for every dollar spent. Our top performing ad got 1016% ROAS for the month! These are a sample of the optimizations that were made throughout the month that helped to improve ad performance and increase conversions. 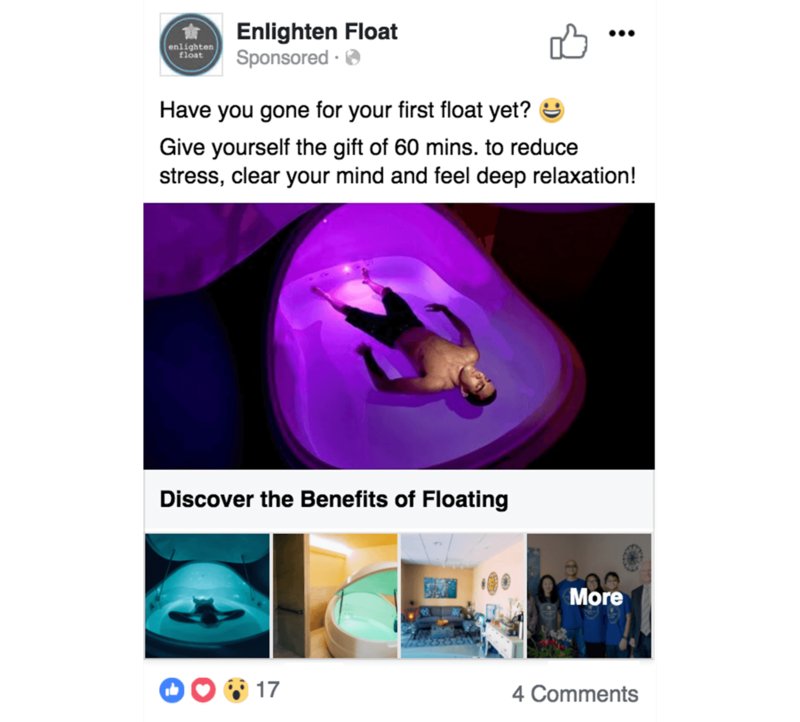 We helped bring in $5.46 for every $1 spent on Facebook ads for Enlighten Float.